I wanted to show some unstaged photos of my living room and Christmas tree at night,and share how to photograph a tree at night. There is something magical about a tree at night. 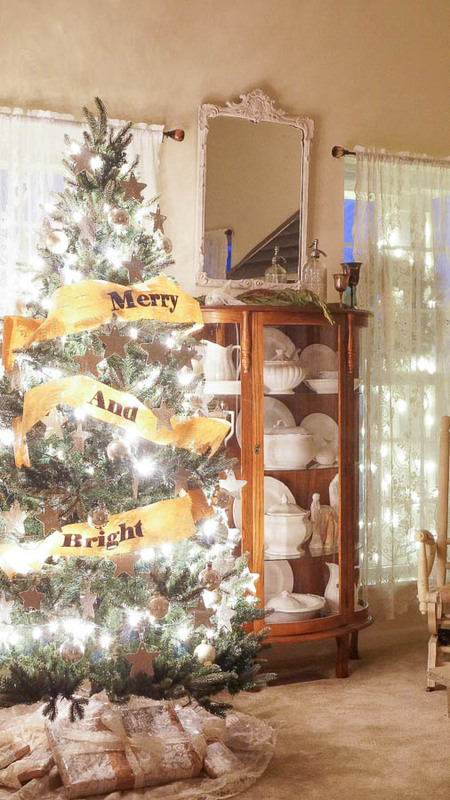 When the lights are on,there is a soft glow and a twinkle on each and every ornament. Even in the glass on my vintage door the reflection is so magical! If you peek through the windows you can see our outdoor lights. As with the inside of our home I keep things really simple outside. Wreaths on the windows,red bows and well, I will have to take some photos soon to show you. I am sure we will get a little snow between now and Christmas,I would like to share it then. I have been asked before how why my tree glows so bright and how many lights do I have on my tree. I think I only have 250 lights? But it’s the way it is photographed that makes this glow as a photo. I set my Sony SLT-A57 to 3200 ISO and my shutter speed at 1/30. It’s sort of like Algebra,you never know why x=y but it does. This tree is in our living room and it really lights up the room at night! I have lots more to share. In the next couple of weeks I will be sharing my home via Holiday tours. Because I am on so many this year I will be sharing one room at a time. 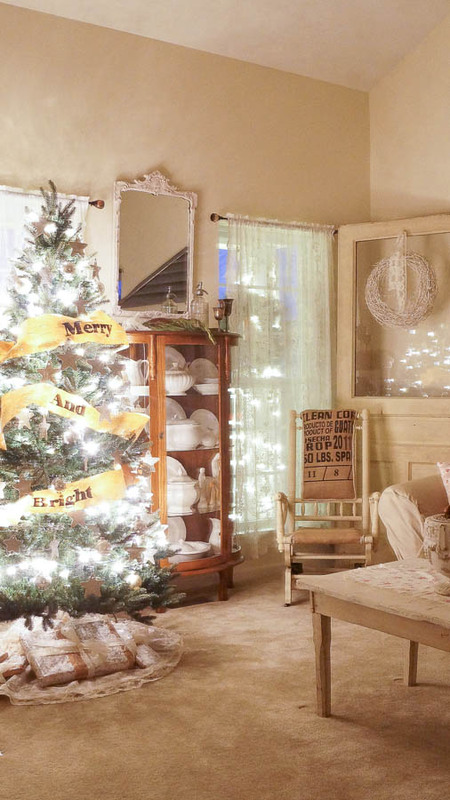 Are you finished decorating or are you just starting? I must admit starting so early this year was really a blessing. And I will be starting my Holiday decor early from now on! 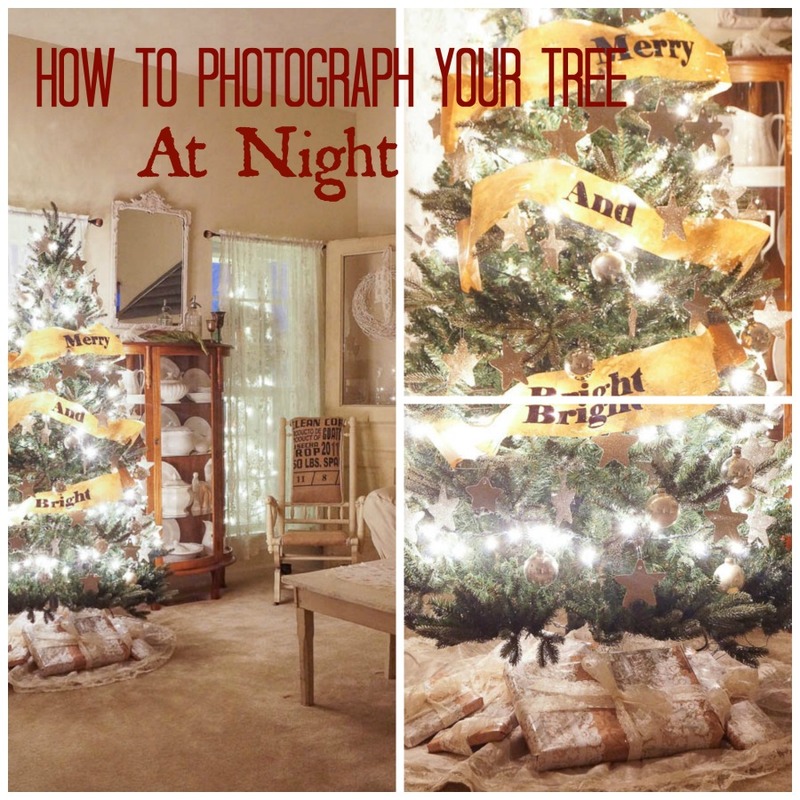 Thank you so much for sharing how to take a picture of your Christmas Tree! You are so cute Anne. You don’t know the techy stuff with your equation but just know it works. Love that!!!!! Your tree looks gorgeous so you have it right. Great tips Anne!! 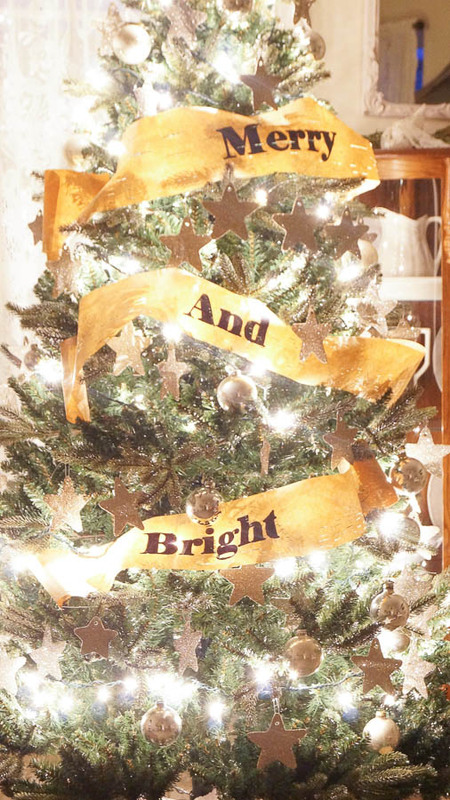 Your tree is beautiful…love the paper garland!